Nate Silver of FiveThirthyEigth…… will be featured at the New York Times…..
Damn….the numbers of hits at his site are gonna go off the chart! Well……. with money he’s gonna get….. He can get a dedicated server! The New York Times said Thursday that it would begin hosting the popular blog FiveThirtyEight and make its founder, Nate Silver, a regular contributor to the newspaper and the Sunday magazine. Mr. Silver, a statistical wizard, became a media star during the last presidential election season for his political projections based on dissections of polling data. He retains all rights to FiveThirtyEight and will continue to run it himself, but “under the banner and auspices of NYTimes.com,” The Times said in a news release. The arrangement is similar to one The Times struck with the authors of the blog Freakonomics in 2007. The Freakonomics blog appears in the Opinion section of NYTimes.com. FiveThirtyEight content will be incorporated in the politics section of NYTimes.com. Along with his contributions to the newspaper and The Times Magazine, Mr. Silver will also work with the journalists and software developers who create interactive graphics for NYTimes.com. Before making a name for himself with political calculations, Mr. Silver’s specialty was baseball statistics. In 2002 he sold a predictive system he had built, called Pecota, to Baseball Prospectus. 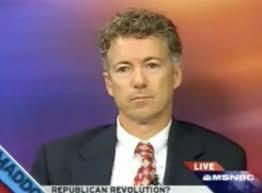 He was a managing partner at Baseball Prospectus until he stepped down in March 2009. By then, he had turned his attention primarily to politics. In the early months of the last presidential election, Mr. Silver was disenchanted with media coverage and analysis of the primary election polls, so he started dissecting the data in blog entries on the Web site Daily Kos. “I get as excited about polls as anyone; at the same time, I believe that people tend to misuse them, focusing more on the end numbers and not so much on the internals,” he wrote in a blog post in December 2007. Nate Silver on Southern Primary Polls…..His Take……Those polls are often more than 9 Points off for Democrats…. 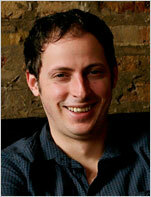 Nate Silver of FiveTirtyEight finds in his research that Primary polls are notoriously off in their results…. 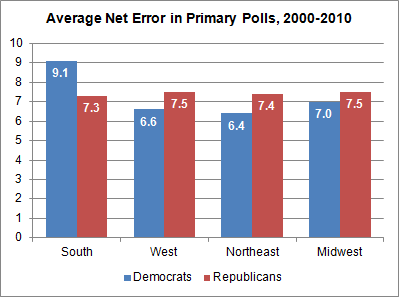 Furthermore he reports that Southern Democrats tend to DO BETTER than most pollsters predict in their races…. Are we going to see some surprises and upsets in the upcoming Southern Primaries? As we transition from a more generalist mode to focus more specifically on this November’s midterms, I’ve got a lot of of R&D to do. I’m generating a new set of pollster ratings, for instance, and building rigorous forecasting models for both the House and for gubernatorial elections, neither of which we had in place in 2008. These are time-consuming projects, and sometimes might eat into my ability to do day-to-day blogging. But trust me on this one — your patience will be rewarded, and we’ll have some very cool new initiatives to unveil soon. One nice thing about doing this research, moreover, is that I’m periodically able to discover things that have more immediate relevance. For instance, we have a couple of important Southern coming primaries coming up: Alabama votes tomorrow, and there are key primaries in Arkansas and South Carolina the following week. How much faith should we put in the polls of these races? Nate Silver @ Fivethirthyeight on Specter/Sestak trends…. Here’s the trending from Nate Silver @ Fivethirtyeight…. This is one of those times where the obvious answer seems to be the right one: the surge is probably real, and Arlen Specter may be in a great deal of trouble. Nate Silver @ FiveThirtyEight on Rasmussen's 'House Effect' for Republicans….. I have questioned about the people there and their GOP leanings…..
Daniel…to his credit after my comments uses other polling companies numbers much more…and will critique any abnormalities that are obvious….. But in a post from April 17th..he tries to explain why Rasmussen’s numbers tend to favor Republicans over Democrats. I must caution you……that even if most of the political junkie industry and I think they favor the GOP candidate……..
Daniel and Silver acknowledge the fact that Rasmussen is pretty good at having its polls pick election winners……and close on those final numbers….. Both critics and defenders of Rasmussen Reports’ polling have frequently cited Rasmussen’s use of a likely voter model to explain why their polls have tended to show substantially more favorable results for Republican candidates than the average of other surveys. I have often mentioned this myself, for that matter. The argument goes like this: those people who vote most reliably in midterm elections tend to be older, whiter, and to have higher social status — which are also characteristics of voters that generally lean toward the Republican candidate. When coupled with what also appears to be a Republican enthusiasm advantage this cycle, it is quite reasonable to believe that a poll of likely voters (like Rasmussen’s) should show more favorable results for the Republicans than one of registered voters or adults (like most others). This argument is completely true, insofar as it goes. But it is not sufficient to explain the bulk of the Rasmussen house effect, particularly given that Rasmussen uses a “fairly loose screening process” to select likely voters. In fact, this is quite readily apparent. Although Rasmussen rarely reveals results for its entire adult sample, rather than that of likely voters, there is one notable exception: its monthly tracking of partisan identification, for which it publishes its results among all adults. Since Labor Day, Rasmussen polls have shown Democrats with a 3.7-point identification advantage among all adults, on average. This is the smallest margin for the Democrats among any of 16 pollsters who have published results on this question, who instead show a Democratic advantage ranging from 5.2 to 13.0 points, with an average of 9.6……. More from Silver on HOW Rasmussen does its survey’s…. Why might these differences emerge? Raw polling data is pretty dirty. If you just call people up and see who answers the phone, you will tend to get too many women, too many old people, and too many white people. This is especially the case if you rely on a landline sample without a supplement of cellphone voters. Pollsters try to correct for these deficiencies in a variety of ways. They may use household selection procedures (for instance, asking to speak with the person who has the next birthday). They may leave their poll in the field for several days, calling back when they do not contact their desired respondent. An increasing number may call cellphones in addition to landlines. Rasmussen does not appear to do any of these things. Their polls are in the field for only one night, leaving little or no time for callbacks. They do not call cellphones. They do not appear to use within-household selection procedures. In addition, their polls use an automated script rather than a live interviewer, which tends to be associated with a lower response rate and which might exacerbate these problems. 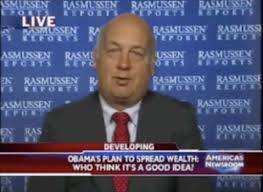 So Rasmussen’s raw data is likely dirtier than most. But pollsters then have a second line of defense: they can massage their data by weighting it to known demographics, such as age, race, gender, or geographic location. This can work pretty well, but it is not foolproof; it requires some finesse. Moreover, some differences in response rates may not intersect neatly with these broad demographic categories. Pew has found, for instance, that those people who rely primarily or exclusively on cellphones tend to be somewhat more liberal, even after other demographic considerations are accounted for. The bottom line is this: the sample included in Rasmussen’s polling is increasingly out of balance with that observed by almost all other pollsters. This appears to create a substantial house effect, irrespective of whether Rasmussen subsequently applies a likely voter screen.